Advances in nanotechnology have provided acoustic researchers with a number of new materials, with features such as nanofibers and nanopores, that can potentially be implemented as porous acoustic absorbers. Their extraordinary properties and molecular behavior could play an important role in reducing the thickness and mass of absorbers compared with currently available materials. In the current era of nanotechnology, a variety of nanotube constituents are available that can be formed into nanoscopic fibers, for instance, carbon nanotubes (CNTs), boron nitride nanotubes (BNTs), and titania nanotubes (TNAs). Although carbon nanotubes are the most widely studied materials for nanofibers and composite foams, other nanotube types have a similar ability to form nanoscopic fibers and composites. Since the discovery of the carbon nanotube (CNT) structure by Iijima (1991), numerous potential applications for CNTs have been suggested in the fields of electronics, energy, mechanics, field emission, and lighting. Although a number of applications of CNTs in noise control engineering have also been suggested, they have not been widely used as sound absorbers. Researchers have studied applications of lightweight CNT foam in shock absorbing and acoustic damping materials, use of carbon nanotubes on a micro-perforated panel (MPP), nano-integrated foams, and polymer nanocomposites to improve the acoustic absorption performance of acoustic absorbers. These developments in nanotechnology offer exciting possibilities for developing acoustic absorption materials using carbon nanotubes. Carbon nanotubes can be produced with an average diameter in the range of 3 to 50 nm and typical lengths of 10 µm to hundreds of micrometers and even millimeter lengths, and thus can be used to produce absorbers with nanopores. In general, for absorber materials, the lower the diameter of the fiber, the greater the acoustic absorption. A reduction of the fiber diameter entails more fibers to achieve an equal volume density for a given absorber thickness, therefore creating a more tortuous path and higher airflow resistance. Moreover, thin fibers can move more easily than thick fibers in the presence of sound waves, inducing vibration in the air and increasing airflow resistance by means of friction through the vibration of the air. Hence, absorbers with thin fibers such as CNTs have the potential to provide good acoustic absorption at low frequencies for a given absorber thickness. Moreover, advanced nanostructuring technologies can facilitate the tailoring of open cell structures in CNT arrays. Open pore structures, together with the nanopores of the tubes, can potentially have a significant influence on the enhancement of acoustic absorption of CNT absorbers. Recent improvements in the fabrication of CNT absorbers with various CNT forest densities suggests that the investigation of the acoustic absorption of CNT arrays will guide the development of effective acoustic absorbers that make use of various arrangements of carbon nanotubes. 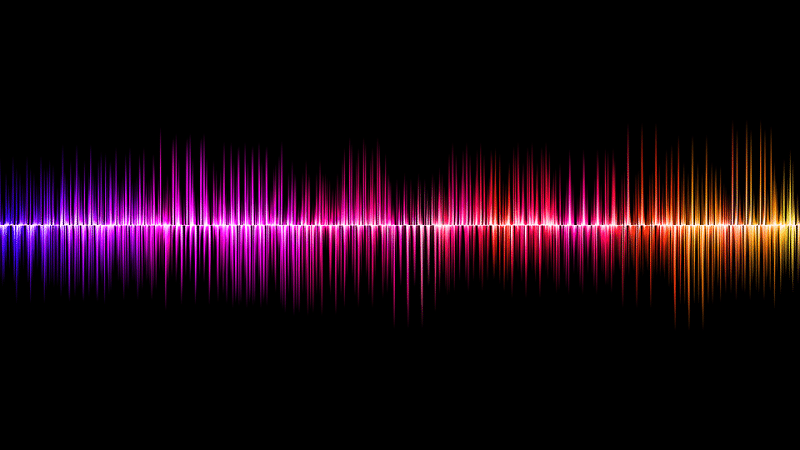 However, a fundamental understanding of the physical mechanisms associated with the use of nanotubes as acoustic absorbers has not been developed, and their potential benefits have not been quantified. Furthermore, measurements of the acoustic absorption properties of nano-materials on their own have not been reported to date. The experimental investigation of the acoustic absorption characteristics of a CNT forest would be the first step towards the establishment of a fundamental understanding of acoustic absorption at the nanoscale. Development of this understanding will advance the knowledge base of the discipline, and will also lay the groundwork for other novel arrangements of acoustic absorbers to be investigated. Recently, Professor Anthony Zander and his nano-acoustics team, comprised of Dr. Md Ayub, Prof Carl Howard, Prof Benjamin Cazzolato, and A/Prof David Huang from the University of Adelaide, Australia, reported a couple of works on the acoustic absorption behaviour of vertically aligned carbon nanotube forest and predictions of their behaviours using classical acoustical models. In a recent paper published in Applied Acoustics, the research from the University of Adelaide explained the potentials of acoustic absorption capability of CNTs. Their investigation was carried out for 3 mm-long forests (with a mass of 0.05 gm of circular samples of diameter 22.10 mm) of CNTs of tube diameter 8 nm using the standard two-microphone impedance tube method with normal incidence within the frequency range of 125 Hz – 4 kHz. Results showed that a 3 mm –long CNT forest can provide 5-10% normal incidence acoustic absorption coefficient over the mid- and high-frequency range and less than 5% absorption at low frequencies below 1000 Hz. This acoustic absorption performance by a thin CNT acoustic absorber becomes significant when compared against conventional absorption materials for an equivalent thickness and mass of the absorber. Comparison of the absorption coefficient of the 3 mm CNT forest and conventional porous materials such as melamine foam and glass wool of equivalent thickness indicate that both conventional materials exhibit lower absorption than the CNT forest for an equivalent thickness. A similar comparison of the acoustic absorption coefficient of the CNT forest and the porous materials shows that conventional materials of equivalent mass may provide similar or significantly higher absorption than that of a CNT forest, however with a larger thickness of the absorber. These results highlight the significance of the absorption ability of CNTs and their potential for implementation in CNT acoustic absorbers. The acoustic absorption mechanisms and the acoustic behavior of CNTs are expected to differ with those of conventional porous materials based on considerations of the physical structure and size of the CNTs. It was observed in this study that most of the classical methods based on phenomenological models and microscopic mechanisms applicable for conventional materials fail to accurately predict the acoustic absorption behavior of the CNT forest. Therefore, in order to develop an understanding of the nanoscopic acoustic absorption mechanisms, acoustic modeling in the nanoscale range using molecular simulation is essential. These findings are described in the article entitled Normal Incidence Acoustic Absorption Characteristics of a Carbon Nanotube Forest, recently published in the journal Applied Acoustics. This work was led by Professor Anthony Zander, M. Ayub, C.Q. Howard, B. S. Cazzolatto, and D.M. Huang from the University of Adelaide, and V. N. Shanov and N. T. Alvarez from the University of Cincinnati. This project was supported by the Australian Research Council’s Discovery Projects funding scheme (project number DP130102832). Md is a research scientist at the University of Adelaide, specializing in computational acoustics; porous acoustic absorber; analytical acoustics modeling; molecular simulation, nanoscopic fibres; nanotechnology & nanoscience; carbon nanotubes.